Boost Your Cooking with Our Kaffir Limes and Leaves, or by adding our Kaffir Flavoured Olive Oil! Interested in Colonial Growers and what we offer? 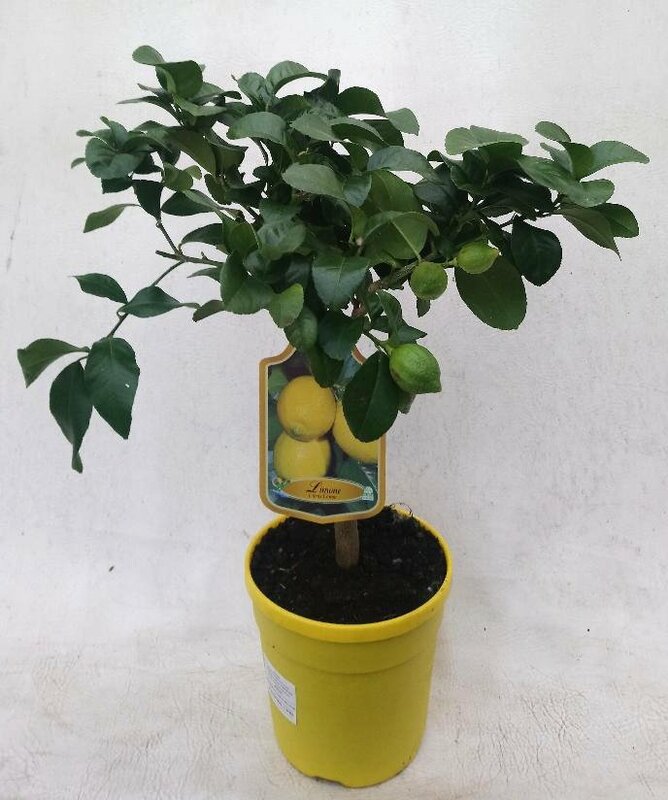 Lemon Plants Now for Sale! When there is no danger of frost, Citrus trees like to be outside in the summer months. However they must be acclimatised gradually to the new light level, by being moved first to a slightly shaded area outside for 2-3 weeks before being put in their sheltered, sunny spot for the summer. Equally when being brought indoors in winter, they should be kept in the shade for 2-3 weeks before coming inside. This reduces any stress to the leaves that the sudden light change could cause. PLANTS IN STOCK, Buy now! UK customers only. Apologies for any inconvenience. The trees should be fed weekly when in growth with a citrus fertiliser (high in trace elements). Use Summer formulation from March to September inclusive, and the Winter formulation fortnightly throughout the rest of the year. If citrus food is not available, then a seaweed based fertiliser is adequate if supplemented with the occasional dose of sequestrated iron and trace elements when any yellowing of the leaves occurs. Foliar feeding can also be helpful in correcting deficiencies. Too much feed will lead to scorching of the leaf tips, and it is a good idea to wash the compost through with lots of water once in Summer and again in Autumn to avoid a build up of fertiliser salts. To keep the trees in shape, pinch out the growing tip once a new branch is 10-15cm (4-6”) long. Regular pinching out of branches will encourage bushy growth nearer the middle of the tree, and this can be carried out at any time of year. Pruning of large branches is best done in February, just before growth starts speeding up, bearing in mind that Citrus trees store excess food in their leaves, so removing too much leaf may result in a poor fruit crop. The ideal humidity is about 50%. In hot weather and in central heating, humidity can drop dramatically. If the leaves show signs of stress, the humidity can be raised by a fine spray, or standing pots on a tray of wet gravel. In centrally heated conditions, a humidifier can be helpful. Increased humidity will also discourage red spider mite attack. The most likely pests are aphids (greenfly), red spider mite and mealybug and scale. These can be controlled with regular use of an appropriate off-the-shelf chemical spray, or Soft Soap spray which is kinder to the environment. A systemic insecticide can be used to very good effect, but should be used with caution when there is any intention of eating the fruit. (See insecticide bottle for details about use on vegetables and fruit). 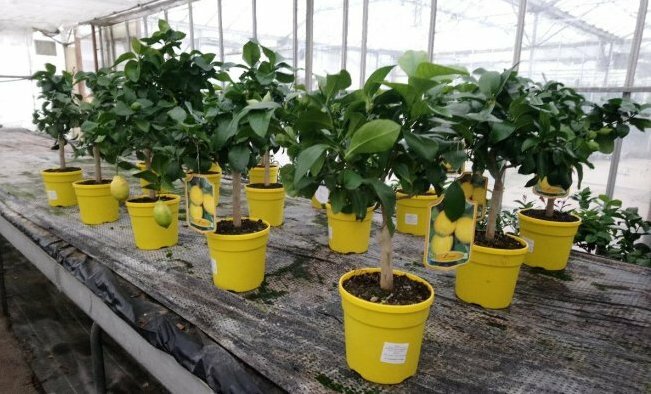 Feel free to contact Colonial Growers For Advice Or If You Have Any Questions Regarding Out Lemon Plants, Yuzu Plants Or Kaffir Lime Plants. Citrus trees are evergreen and will naturally drop an old leaf from time to time. If, however, there is a lot of leaf drop, then the first thing to look at is whether the tree is too dry. This is generally the cause, particularly in the lower half of a big pot. The second most common reason is poor light, so moving the tree to a lighter position may solve the problem. Over watering can also cause problems - do not give more water until the surface of the compost is looking dry. Inadequate feeding may also cause leaf drop: this can be rectified particularly effectively with special citrus food. Should the leaves drop for any reason, do not be immediately discouraged, as the tree will most likely grow a new crop of beautiful glossy leaves in a month or two, and flower soon after. Often heavy flowering and new leaf growth trigger some leaf drop in Spring. This is quite normal and new leaves will fill gaps; but more diligent feeding may avoid this leaf drop in the first place. Have questions about your Lemon plant? 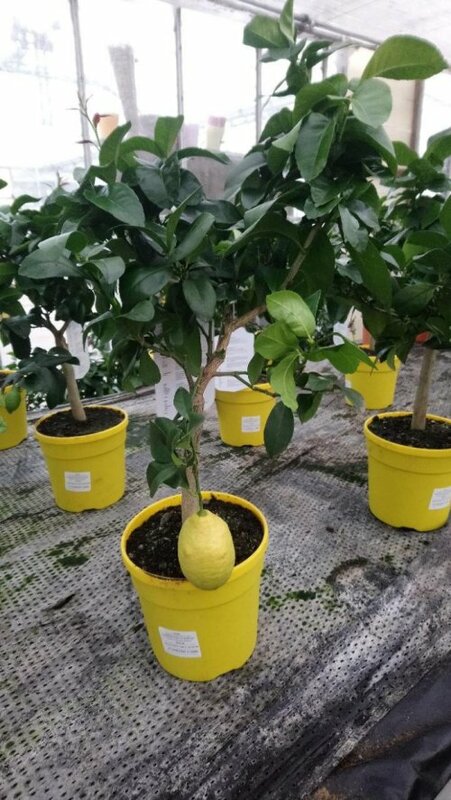 We are happy to answer any questions, whether about the ordering process or about taking care of your new Colonial Growers' Lemon plant. We pride ourselves on our service both before and after sales. 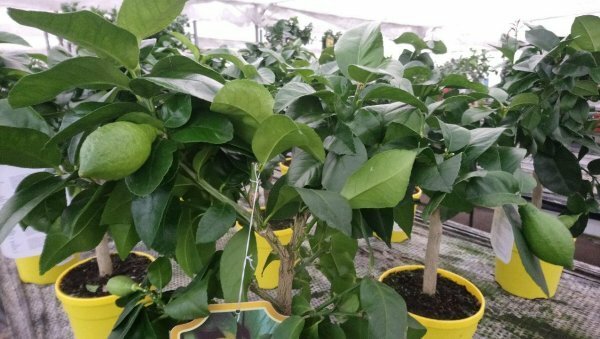 Click the following link for our other items, such as kaffir lime leaves, fruits or plants.